The winning Sutton Grammar Intermediate team with their cup. 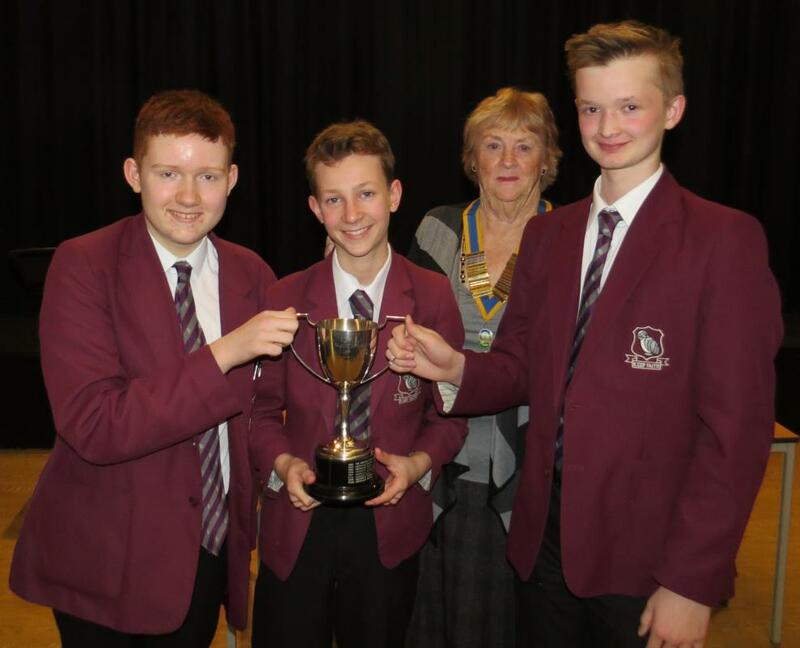 It was a pleasure for our Rotary members to assist in the running of the first round of the National Youth Speaks competition held at Aberdour School. Each team consists of a chairperson, a speaker and a vote of thanks. The youngsters, representing various schools in the Sutton area were extremely confident and presented well in front of an appreciative audience. After a difficult decision for the judges the teams going forward into the next round are Sutton Grammar School for both the Intermediate and Senior sections. We wish them every success.